Search and adopt a Fox Terrier near you. The Smooth Fox Terrier loves life and is usually on the go and often into things. Active and inquisitive, their hunting instincts can get them in trouble. They are very smart dogs, they need a lot of attention, care and plenty of love and understanding. Very rarely is a Smooth Fox Terrier aggressive to people. 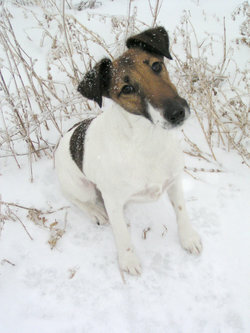 Smooth Fox Terriers were bred to be hunters of small game. Their instinct is to work alone without man's guidance.